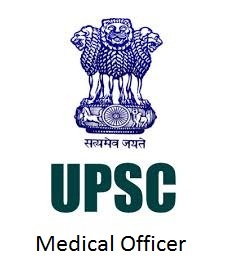 UPSC Medical Officer Recruitment 2016- Union Public Service Commission has issued advertisement notification for the Recruitment of Assistant Professor in Ministry of Health and Family Welfare, library Assistant Officer , Civilian medical Officer in Armed Forces Medical Service, Assistant Employment Officer, Chemist ,Economic officer In Road Transport and Highways. Eligible candidates may apply online application before last date 11-march- 2016. Aspirants also check other details like education eligibility, age limit, pay scale, and number of vacancies info, online application link and more details are given below. Education Qualification: Please check in the recruitment PDF file. Recruitment Method: candidates will be selected by Written Exam and Interview. Starting date online Registration: 23 January. Last date of online Registration: 11 March.